Teacher confidence (efficacy): Why does it matter and how can school leaders improve it? Efficacy - or a teacher’s level of confidence in their abilities - can be highly influenced by past experiences or your current school culture. For example, a bad classroom experience or negative work environment can quickly diminish a teacher’s confidence. Interestingly, seeing students grow and working in a collaborative environment can boost a teacher’s belief in their ability and improve performance. Research also suggests that teachers with a strong sense of self-efficacy tend to be better planners, more resilient through failure, and more open-minded and supportive with students. According to Visible Learning for Teachers: Maximizing Impact on Learning by John Hattie, collective teacher efficacy has the greatest impact on student achievement - even higher than factors like teacher-student relationships, home environment, or parental involvement. This might seem surprising, but it actually makes sense. A teacher who lacks confidence is less likely to push students, try new methods, or tackle difficulties. Teacher efficacy also plays a role in teacher retention, helping to keep educators motivated and stay in profession. So, what can you do to build teacher efficacy in your school? Teachers can often feel unappreciated and battered by the ever-changing education landscape and negative press. 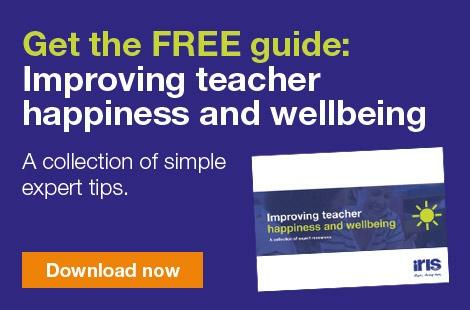 Creating a supportive positive environment within your school and telling your staff how much they're valued can really help to build a more confident culture. Make a habit of thanking your teachers, it's quick, easy and can make a real difference! Putting a teacher who lacks confidence in charge of something may seem like a disaster waiting to happen, but more often than not they will surprise you, rather than let you down. Don't delegate anything too daunting, but there are lots of projects and tasks that most people can handle. These opportunities encourage colleagues to step outside their comfort zone and achieve something new, which ultimately will build confidence. Every teacher has strengths and it's essential to praise them. However it's also worth remembering that strengths still need to be honed and improved, just like weaknesses. One way to build confidence is to allow them to mentor a teacher who struggles in an area they excel in. Give teachers professional development opportunities that can act as a supportive guide for improvement. Most people are aware of their weaknesses but don't know how to fix them, which leads to a lack of confidence. Creating a culture that hinges around peer support and collaboration and providing time and tools for teachers to develop is great for building confidence and a stronger culture as a whole. The demands of teaching can be overwhelming, from paperwork, lesson planning, marking and the many extracurricular activities teachers generally take on. When a leader doesn’t assist teachers who feel overwhelmed, they can lose their sense of efficacy. As a result the teacher’s practice can also be affected. Try to empathize with your teachers, listen when they ask for help, and do what you can to help them manage their responsibilities. Doing this will make your teachers more likely to feel valued and supported in getting things done.